A pilot project of the system was operationalised a few years ago in certain sections of the railways. 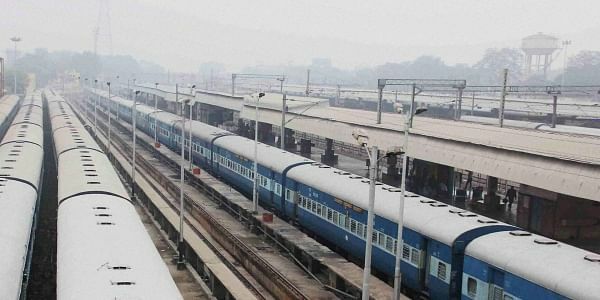 NEW DELHI: Train travel is set to become faster and safer in certain sections with Indian Railways introducing Train Protection and Warning System (TPWS) on total 3330 km at an estimated cost of Rs 2000 crore. The advanced accident prevention measure, under which trains will be in constant communication with the signals through sensors installed on the track side, will be implemented in two phases over the next three-four years. The TPWS, which also reduces delays during foggy weather, is a proven European train protection technology and deployed extensively on world railways. With the Railways planning to go for semi high speed and high speed trains, there is a need to have automatic train controlling system. TPWS has capability to control the speed of train in accordance with the sectional permitted speed and signal aspect ahead by automatic actuation of brakes, in case loco pilot fails to do so in time. Thus it mitigates safety risk of accidents/collisions due to loco pilot's error of signal passing at danger or over speeding, said a senior Railway Ministry official involved in the project. It is important to see that when the line capacity is saturated and more trains are running, there is a proper and effective train control system, he said. TPWS work has been sanctioned on 3330 route km on automatic signalling/high density routes. Currently the work is underway for installing the advanced safety measure in two phases. In the first phase, the implementation of TPWS works has been taken up on 1244 km route of automatic signalling sections with EMU services including Sealdah-Howrah-Khana section, Delhi-Panipat section, Howrah-Kharagpur section and Chennai Beach-Tambaram-Chengalpattu section. In the second phase, the implementation of TPWS on 2086 km route has also been taken up on high density routes including Delhi-Ambala- Amritsar section, Ghaziabad-TundlaKanpur, Kanpur-Mughalsarai and Agra-Gwalior sections, Mumbai Central-Virar-Vadodara–Ahmedabad section and ArakkonamJolarpettai section. The phase-I and phase-II are planned for implementation in next 3-4 years. The requirement of enhanced safety for train operations has always been of paramount importance. With increasing speed and dense train traffic on the Indian Railway network, enhanced safety assumes greater significance, he said. At present, TPWS has been operationalised in ChennaiGummidipundi suburban section, Dum Dum-Kavi Subhash section of Kolkata Metro Railway, Hazrat Nizamuddin–Agra Section and Basin Bridge-Arrakonam Section. Further, based on experience gained, it has been planned with priority for introduction of this technology on high density network, the official said.